What's more exciting than expecting your first child? Not a whole lot. For me, there's not much that comes close to photographing a pregnant woman in beach sunset maternity session. 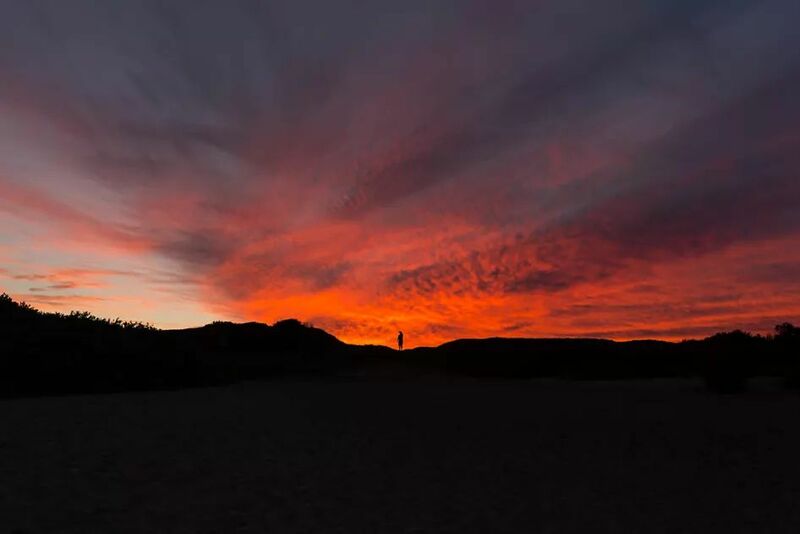 This one took place on Narrabeen Beach, Sdyney. Nohelia and her husband are from South America. Now living in Sydney, they were expecting their fist child a little girl. They even brought their dog Bandit along to the maternity session and we included him in some of the photos...after all he is part of the family too!. Ruth and Chris have recently welcomed their second baby girl into the world & let me tell you, these fabulous parents and their eldest daughter had great fun at their North Curl Curl Beach maternity session earlier this year. While we walked around the beach, the sun was starting to set for golden hour photos. North Curl Curl Beach is one of my favourite locations to have a photoshoot as it offers both grass and sand to utilise for the photos. There is also a small lagoon which is very shallow and safe for children to paddle in. When Ruth contacted me initially we chatted about what she would wear. I showed her photos of my range of maternity dresses that are available for all my clients to wear if they choose. As she is blonde, I recommended that she wear the chiffon pink dress and that she start the session in her own dress, that would tie in with the blues that Chris and their daughter was going to wear. Their three year old daughter was looking forward to being a big sister. She told me that she had a doll and that was her baby, just like her mum's. We had lots of fun playing in the sea and on the beach. Luckily it was a very warm Autumn day and we had a breathtaking sunset too, to finish off the session and you can see it for yourself below. I couldn’t have been more honoured to take these photographs that they will get to pass on to their children for generations. Enjoy! PS: If you would like to have a look at their lifestyle newborn shoot, that took place three months later, have a read of that blog post now. I’m a little bit in love with this session. It adds so much of the family’s personality when the photos are taken in their home. I love it! A lifestyle maternity photography session is the perfect approach for capturing the love and fun of a family. It is a very relaxed and candid session. Isn't that what everyone wants? Because it is about having images with personality and emotion. No posing, no stress or feeling you HAVE to smile at the camera, just fun, natural and meaningful story. YOUR story! Lara called me to book and told me that she would love an at-home lifestyle maternity session. She really wanted stunning photography that tells her and her partner's story in their own home. I was very excited and I just knew from talking to her that we were a great match. This was confirmed when I arrived at her home, and after a short chat we decided what activities I would capture. Therefore the moment I heard Tea and Reading I was thrilled, they are my all time favourite things to do. I asked them to just go about their normal routine, pretend I wasn't there and just relax. So they did, they made tea, chatted, read books, got cosy on the sofa, laughed, kissed, decorated their Christmas tree and even went for a short walk outside. It was beautiful. PS: Since I shot this session, Lara and James welcomed a beautiful baby boy called Archie and I was thrilled to photograph him too. You can see his newborn lifestyle session on my blog. Meet Nicole and Dan. From the first conversations I had with Nicole, I knew we would be a perfect fit, and I knew her maternity session would be beautiful. When I read her words, “We would love an outdoor beach maternity session, we both feel connected to the water and it is a great reflection of where we live and what we like to do” – I was like YES! I can’t wait! The stars (and skies) aligned to make the perfect conditions for us. What a gorgeous couple. I was so happy with the dream-like, intimate feel that the final images took on. I am very inspired by light when I photograph sessions and I my sessions are always scheduled for 60 minutes before sunset. At this time of day, I can create beautiful flares in my photos and they light is very soft and flattering. Then if we are really lucky we get a glorious sky and amazing sunset finale. 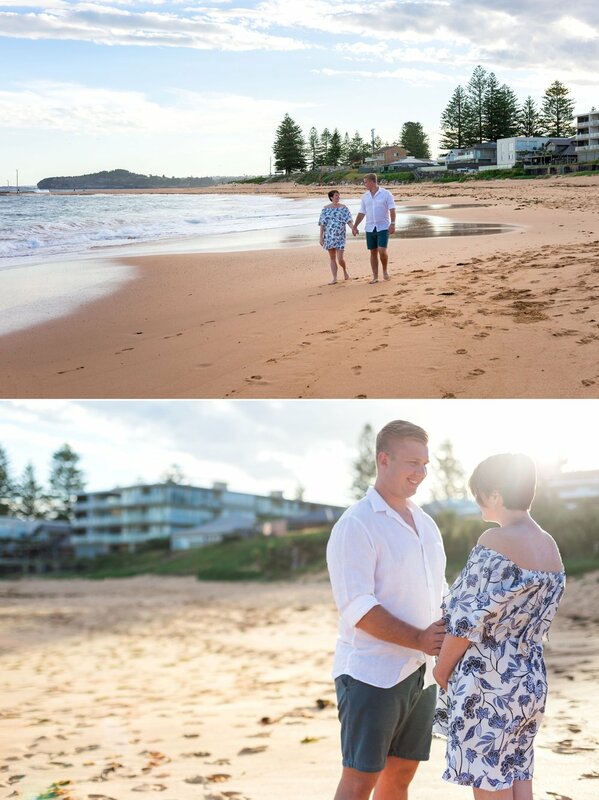 We decided to have their maternity session at Mona Vale Beach as it is a location that I have photographed many times. At 33 weeks pregnant, Nicole was looking stunning and as she enjoyed sewing she decided to make her own dress to wear for our session. I LOVED her white gown, it was so elegant and showed off her beautiful bump perfectly. After a quick chat we agreed that we would start the shoot with Nicole wearing her own short dress, that she arrived to the session in and then she would change into her handmade gown and then we would end the shoot with her wearing my purple chiffon gown. I always advise my clients to bring a few outfit changes (including my selection of maternity dresses) so that their shoot will have lots of variety. I hope you like this selection of images from their beach maternity session. I love celebrating the beauty of pregnancy with my amazing maternity clients! 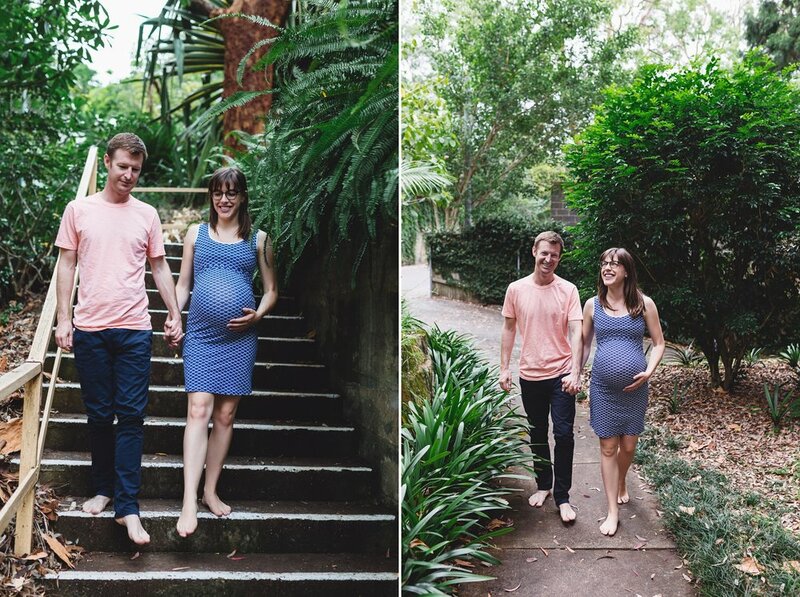 These photos were taken back in October at McKell Park Brooklyn NSW when Kat was 35 weeks pregnant... and still looking so gorgeous and calm and collected! 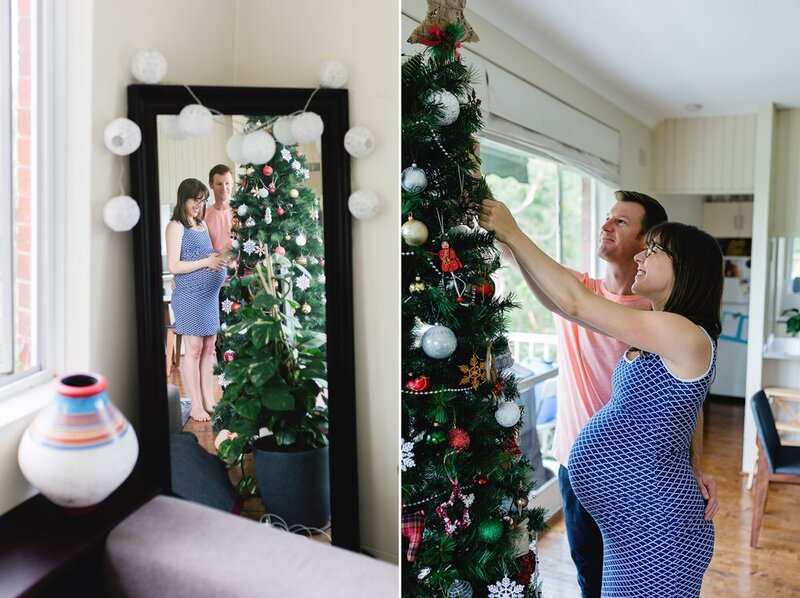 Kat and Antony were expecting their first precious little baby -- the love and anticipation is so obvious in these photos.